Welcome to Country Meadows Montessori School! 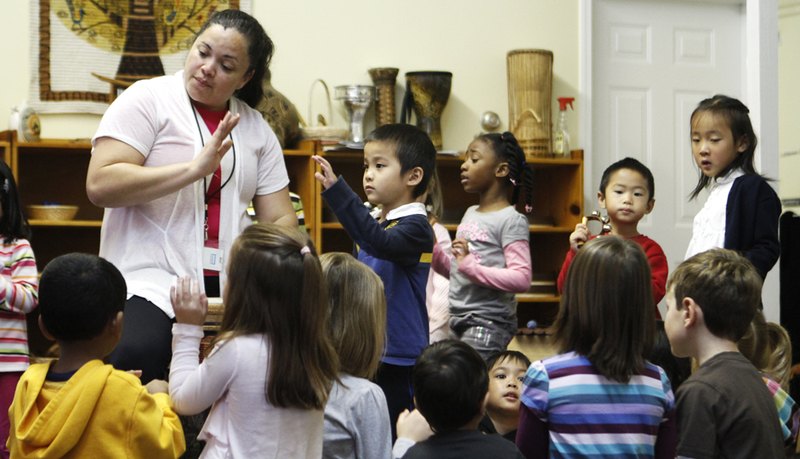 Welcome to Country Meadows Montessori School’s website. Feel free to browse our website to find important information about our school and curriculum. Country Meadows is a private not for profit school offering programming for Toddler (15 months) through 8th grade based upon the philosophy of Dr. Maria Montessori. Classes are organized by a three-year model providing a familiar setting, which encourages long-term friendships and allows for maximum advantage of the teacher/student relationship. Country Meadows is open to enrolling children of any race, creed, national origin, religious belief, and socio-economic backgrounds. 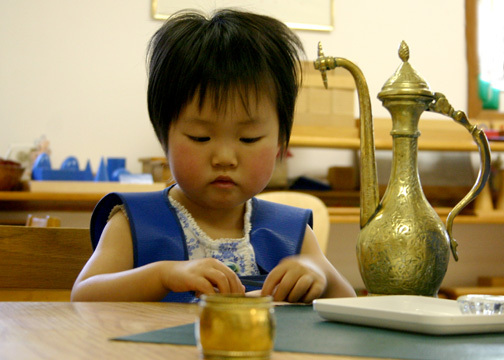 We are dedicated to fostering the Montessori tradition in our school and in the community. During the first six years of life, a child’s brain develops based on the interaction of the child with his or her environment. Research shows that certain factors enrich the child’s environment and produce positive outcomes in terms of the child’s future educational level, social development and self-discipline. These factors include movement, opportunities for meaningful learning, information presented in clear and coherent ways, opportunities to control stressors, social relationships, nutrition and adequate time to learn. We know that with the right opportunities and in the right environment every child is capable of excellence and that the path to fully expressing that excellence is a unique one for each person. At Country Meadows we stand side by side with your child helping them to unlock every expression of excellence from the social to the emotional to the academic at their own pace and in the ways that are most effective for them. What is excellence at Country Meadows? We define excellence as the mastery of the varied concepts and skills needed to be a successful citizen in our complex world and to excel academically and socially at each stage of the educational experience. Leveraging the Montessori Method that lays out the areas of mastery for each stage of development (toddler through adolescence) Country Meadows works with your child and with you to insure your child is given the knowledge, tools, and support to master each area at their own pace. What is mastery at Country Meadows? At Country Meadows we don’t assign your child a grade. Grades serve to limit children and create an artificial ceiling on their academic success. We do, however, help your child hold themselves accountable for Mastery which we define as demonstrating an understanding of the underlying skills and knowledge of a specific lesson at 90% or above and we hold ourselves accountable to ensuring your child can achieve that mastery. That translates to a minimum ‘grade’ using traditional evaluation techniques of an A- and the children at Country Meadows prove year after year they are ready, willing, and able to earn that level of achievement and far surpass it. We hold this to be true if parents understand the importance of keeping their child in the classroom for the three year cycle. This is critically important to your child’s development as they will quickly come to understand that they are not only expected to master their work but that they are very capable of mastering it – even the really hard stuff that they may not be good at to start with! Time after time, skill after skill, your child proves to themselves that they can be a master of everything they are willing to work hard for. There are no “C or B students” at Country Meadows if the child is allowed that three year cycle in which to thrive in. How are the needs of each individual child addressed? Each person is unique, everyone learns in different ways, and what is easy for one child is difficult for another. As a Montessori school, Country Meadows allows your child to learn in their own best way and at their own pace – never punished for not ‘getting’ something right away and never held back from addressing more complex work. Our three year cycles makes this an organic process and it is common to have children of varying ages working on similar concepts and equally common for students to take on work that is more advanced than would be allowed for in a traditional educational setting. The fear and shame of not keeping up with your class day by day, test by test, report card by report card simply does not exist at Country Meadows. Freed of this artificial pressure, social and academic success comes as a natural process of hard work and is enabled by the customized instruction of the school’s faculty.